When we use solar panels to capture the sun’s radiation, we are going out of our way to do something the earth already does everywhere around us: capture and store solar energy. In fact, about half the solar radiation that hits our planet ends up in the ground. In this sense, geothermal energy represents a secondary source of sun power. The Earth’s underground layers also harbor the heat of the distant past, beaming out from the flaming core of the planet. Between the core and the surface, geological layers act as a natural heat exchanger, convecting high temperatures upward. Melting rocks lend their fire to water that has filled underground reservoirs. If you’ve ever enjoyed natural hot springs or visited the geysers at Yellowstone, you’re familiar with one manifestation of this process. You can read more about what geothermal energy is and how it works here. Does it make sense to harness these forces to ward off the chill and run all our gadgets? There are several geothermal energy advantages and disadvantages that require our attention. Let’s take a look at the top pros and cons of geothermal energy to get a sense of its role and potential. We will pay special attention to its efficiency, reliability, economic cost and impact on the environment. 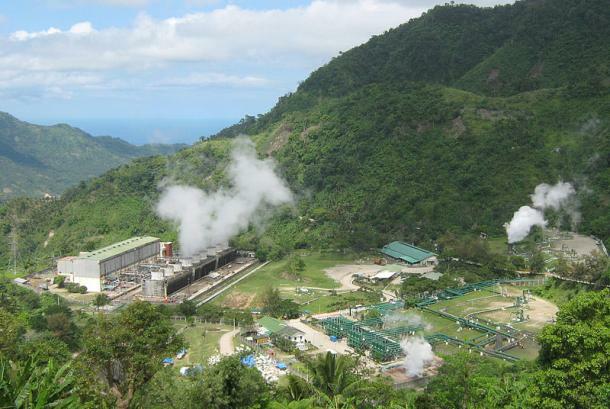 Is geothermal production energy-efficient? You bet. 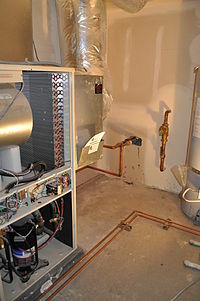 In the Northeastern U.S., for instance, a basic home geo-exchange system can reach efficiencies of up to 600%, compared to the average 90% performance of a conventionally-powered unit. Subterranean wells can also improve building economy by replacing separate heating and cooling units with a single earth-powered system. Keep in mind that different thermal systems have different levels of efficiency. The scale of a project and numerous installation factors bear on the upper range of what is attainable in real world conditions. Matching local geology with the right type of system is essential for maintaining an efficiency-optimized process. Advocates of geothermal power are proud to get behind one of the world’s most reliable energy sources. With an enduring supply of naturally replenishing heat, geothermal power remains stable all day, all night, and across the seasons. Reliability is crucial for maintaining a steady supply of electricity to homes and businesses. Because it is so consistent, geothermal energy can easily be used for base loads or sharp spikes in demand. Pipeline-free geothermal development also requires the smallest total land use of any energy source, making it potentially viable for urban usage at great enough depths. As many realized in the aftermath of last year’s “superstorm” Hurricane Sandy, having all critical energy-supplying equipment underground is indispensable during gale-force winds and madcap floods. Because the principles and setup are mechanically simple, maintenance over time is minimal and life expectancy is long. In fact, every geothermal energy facility built in the last century is still operational today. 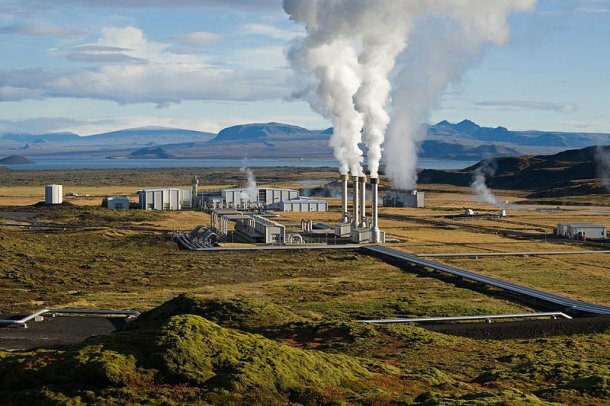 Is geothermal power production cost-effective? Yes: normally it is cost-effective over a relatively short time frame. However, geothermal energy pros and cons alike arise in the area of economic feasibility. Earthbound power contributes to the grid, and it is increasingly being used to directly supply commercial and residential buildings. In either case, the up-front costs are high—a major con. However, the return-on-investment grows many times higher over the course of a few decades. Further, relief from the initial expenditure is quick: once established, utility savings can immediately begin to offset startup costs. An expanded geothermal operation poses additional cost challenges. Larger-scale production wells drill deeper for more intense heat, 5k to 10k feet below the surface. These operations are more expensive, with greater depth usually translating into a higher price tag. If exploration is necessary, these costs can become prohibitively expensive. These technological and financial geothermal energy disadvantages partly explain why earth’s natural heating is not in wider use today: it is largely limited to reasonably accessible, hydrothermally-rich zones. In other words, what you need for a cost-effective geothermal project is underground water within range. The conditions for cost-effective production do not exist everywhere. While it is true that you could drill a well several miles down just about anywhere for virtually endless, high-temperature energy, most of the time it would be too expensive. The process of exploring, drilling and utilizing dry heat buried deep underground is exorbitant with current technologies. So the virtual infinity of geothermal heat is ultimately capped by cost. However, an emerging trend in extraction called “enhanced geothermal systems,” or EGS, promises to develop resources anywhere, regardless of natural potential. EGS, which fractures rocks to create artificial hydrothermal reservoirs, has been linked to induced earthquakes and chemical pollution. So far, it seems “enhanced” methods can only buy geothermal’s universality at the expense of its eco-friendliness. 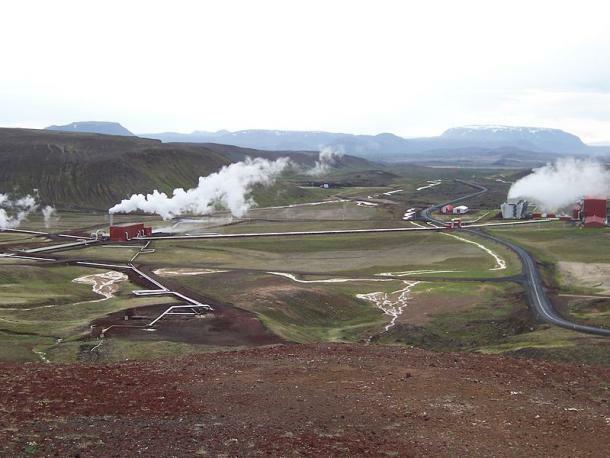 Is geothermal energy good for the environment? Definitely. This form of energy is renewable—with proper management. While it is possible to deplete underground water resources by extracting too much at a time, this should not be a threat to a well-managed operation. Geosystems are designed to be sustainable, by injecting water not “flashed” into steam back into the ground where it came from. A steady supply is thus easily achieved with hydrologic stewardship and properly installed infrastructure. That geothermal energy is typically produced locally is another boon to Mother Earth. Eliminating the enormous ecological costs of transporting fossil fuels from faraway lands is one of the key advantages of piping in heat from underneath your feet. Not to mention, there aren’t any pollutants to escape geothermal facilities because there’s no fuel subject to combustion. Weighing the green advantages and disadvantages of geothermal energy, it’s clear hydrothermal methods deserve a round of applause for their holistic contribution to a safer and cleaner environment. As a clean, reliable and cost-effective way to power up society, earth’s own radiant heat seems to have a bright future ahead of it in the broader energy mix. What Is Geothermal Energy & How Does It Work?